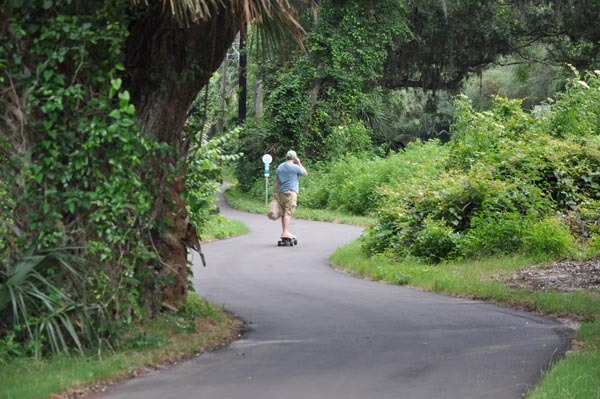 Using a different form of transportation, this skateboarder takes the long and winding road along the Amelia Island trail in Nassau County, Florida. Trails provide an alternate form of transportation while enhancing Florida’s highway system. 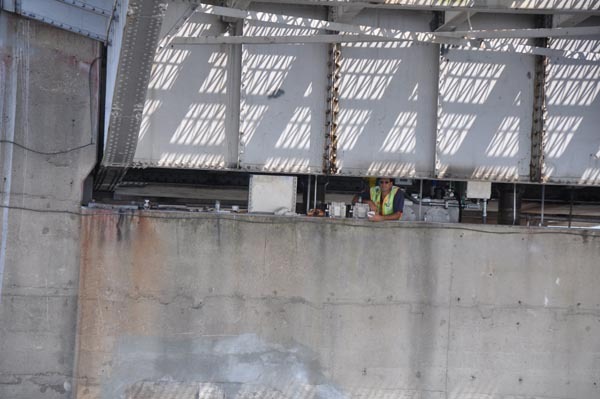 Alfred Banz takes a break while a boat passes by as he works on the mechanical system that operates the Sisters Creek drawbridge on State Road 105 in Duval County for the Florida Department of Transportation. Richie Morehouse really puts his back into his work as his colleagues with Jenkins Painting, Inc., Ryan Manfready and Matt Hendricks, work to get the thermoplastic down on a Florida Department of Transportation resurfacing project on Interstate 10 in Madison County, Florida. This seems like a scene out of a Robert Frost poem. 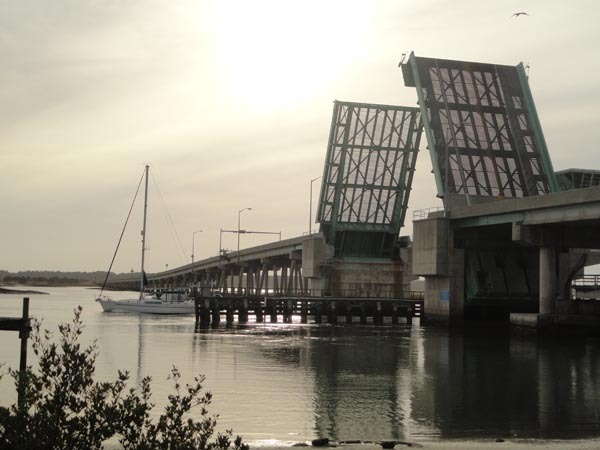 A sail boat is taking a peaceful trip on the ‘road’ less traveled under the SR 206 Crescent Beach Bridge in St. Johns County, Florida at sunset. 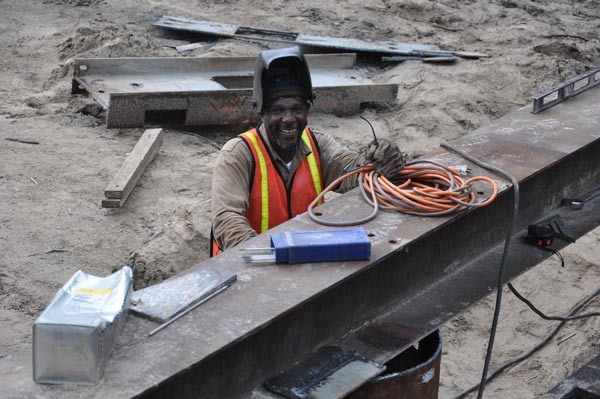 Jeffery Mitchell, a welder with GLF Construction Corporation, takes a break from working on the new Florida Department of Transportation bridge on U.S. 98 at the Aucilla River in Taylor County, Florida.